When one of the UK's largest broadcasters asks you to create a series of station IDs for a major channel rebrand, you know that millions of people will be scrutinizing every frame. So how do you ensure the rendering goes without a hitch -- without the need for dedicated support staff? If you're MPC, the answer is simple: you turn to PipelineFX and its Qube! render farm management system. E4 Brand Refresh, Mountain from MPC on Vimeo. 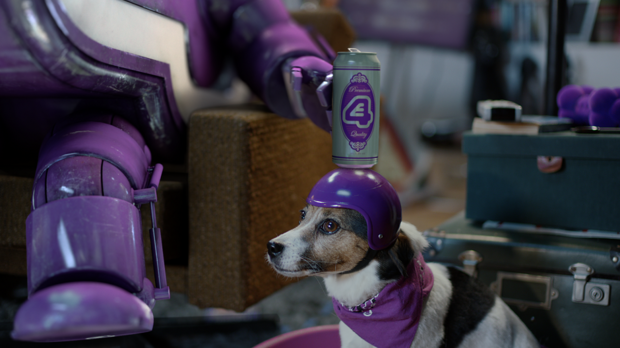 During its work on the new E4 idents, MPC's motion design studio was pushing up to 30 passes a day through its Mac-based render farm. 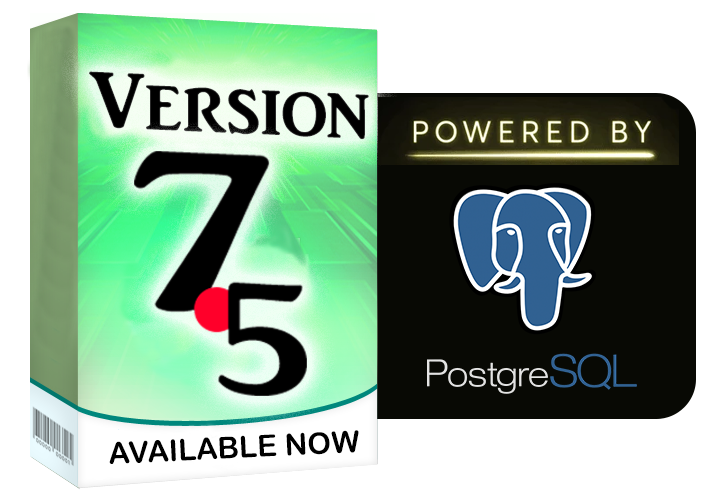 But instead of having to assign dedicated render wranglers to the project, Qube! enabled the artists to schedule and monitor all the jobs themselves. One of Channel 4's family of stations, E4, broadcasts a mixture of homegrown drama and US imports like Desperate Housewives, Scrubs and Ugly Betty. 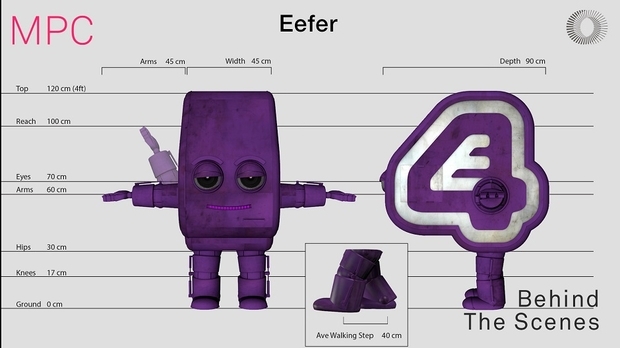 The IDs, which show Eefer, the channel's robot mascot, hiking, holidaying, or simply hanging out at home, were originally broadcast to coincide with Season 7 of The Big Bang Theory. E4 Brand Refresh, Canal from MPC on Vimeo. Trading on a mixture of the homely and the surreal -- in one, the camera pans away to reveal a tourist spray-painting the slogan 'My pants are chafing' on the side of a caravan -- the IDs required MPC to integrate their virtual character seamlessly into a series of real-world backgrounds. The effects were created in Cinema 4D and After Effects, with Keyzor conducting a series of tests to find the best way to set up renders across the motion design team's 32 render boxes. 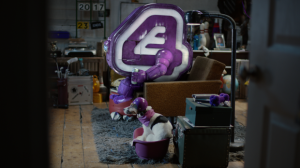 E4 Brand Refresh, Bedsit from MPC on Vimeo. When it was first established, MPC's motion design studio relied on Cinema 4D's own built-in NET Render system for network rendering, running the jobs on the artists' own workstations. 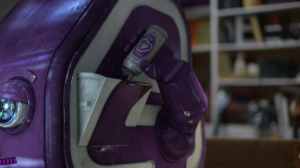 As the studio expanded with more renders being exported each day, they needed to move to a dedicated render farm to take the strain off rendering and working on an artist’s machine at the same time. They also needed to give other departments using different software the flexibility to use the farm, and themselves the opportunity to use processors in other departments rather than relying on just their local resources. 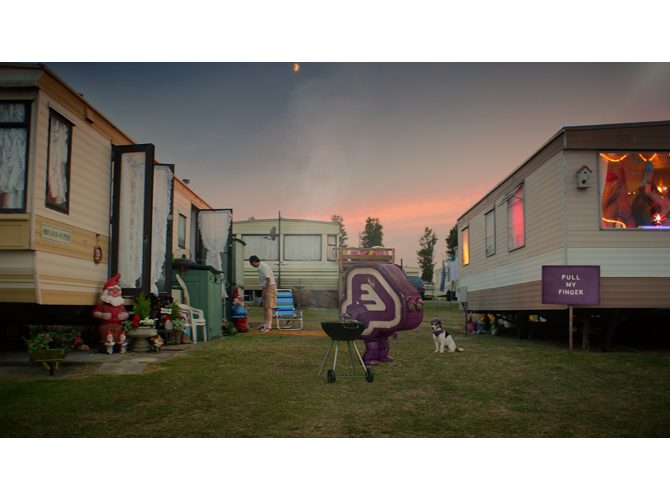 E4 Brand Refresh, Caravan from MPC on Vimeo. MPC was one of the first facilities to use Qube! 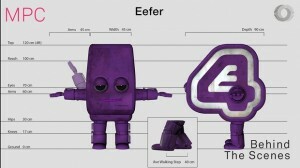 with Cinema 4D for large-scale production. PipelineFX worked closely with the motion design team to ensure that the experience was as trouble-free as possible, with support engineer Josh Bretag making regular visits to the studio. With its blend of surreal humor and everyday detail perfectly complemented by MPC's whimsical character design and photorealistic visuals, the E4 IDs served to re-establish the channel for its audience of 15 to 35-year-olds. Since the E4 idents, MPC's motion design studio has worked on projects ranging from Adidas ads to titles for the Danny Boyle-directed comedy drama "Babylon," relying on Qube! 's powerful, artist-friendly farm-management tools to ensure that complex rendering jobs go without a hitch.